Very nice new old stock Westfield watch which has been freshly serviced and is dated to 1948 vintage. 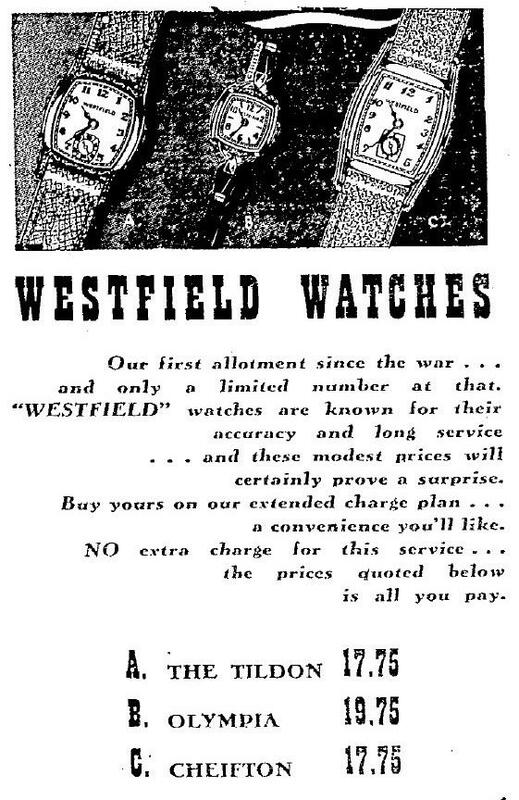 Westfield was a subsidiary company of Bulova and the same pre-1950 date codes were used on their movements as on the main line Bulova’s, code on this movement is 48 which represents 1948 production date. Photos are not actual size of watch, the case measures 25 mm across (not including crown) x 35 mm lug to lug and is fit with a new leather bracelet.